A/B testing software vendor, Optimizely, will expand out its personalisation platform after securing US$58 million in a new round of investment funding. The five-year old company raised the dollars in a Series C funding round led by Index Ventures. The investment sees Index general partner, Ilya Fushman, joining the vendor’s board of directors. The latest cash injection comes after Optimizely raised $57m in a series B funding round in May 2014, led by Andreessen Horowitz, and brings its total funding to $146m. Announcing the news via a blog post, co-founder, Dan Siroker, said the company had doubled its revenue each year for the past five years, and by more than 100 per cent since its Series B funding, and was now the most adopted website optimisation platform among the Alexa top 10,000 websites. The company claims to have more than 7000 customers including Microsoft, Walt Disney Company, Asics, Spotify and Four Seasons Hotels and Resorts. 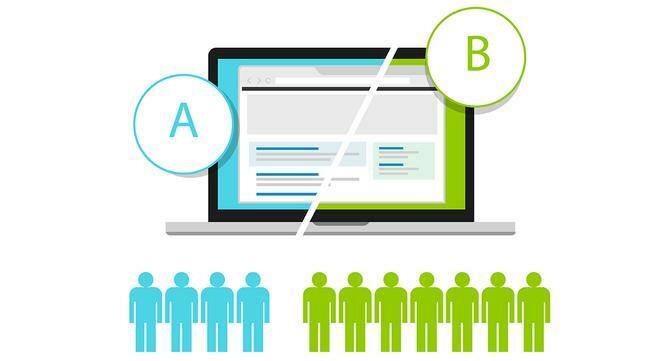 The A/B testing offering was derived from Siroker’s efforts around the 2008 Obama presidential campaign as its director of analytics, where he raised more than $100m in additional revenue for the campaign. Siroker also formerly worked as a product manager at Google. “For us, our customers and our partners, this new round of funding represents an opportunity for Optimizely to focus on our long-term objectives of building products that will enable every company to provide their customers with the best possible experiences,” Siroker said. And that means a major push around Optimizely’s Personalisation platform. The platform was launched in June last year and uses machine learning and predictive analytics to tailor online visitor experiences using first- and third-party data insights. Customer behaviours are identified using visual tags and are based on browsing behaviour, demographic information and contextual insights. Platform features include ‘recommended audiences’ segmentation and management, Optimizely’s ‘stats engine’ and performance measurement tools and real-time behavioural and custom targeting. Siroker said personalisation had become a “dirty word in our industry” because vendors have overpromised and under delivered. Optimizely’s platform was about giving companies the tools to personalise online experience without needing dozens of engineers or analysts, he said. In a recent report on online testing platforms, Forrester Research’s James McCormick labelled Optimizely’s Experience Optimisation Platform a “disruptive force” in the online testing space, citing both its ease of use and self-service capabilities with enterprise-grade feature sets as a strong combination. He also highlighted the need to expand its personalisation capabilities for future growth. “To maintain its trajectory, Optimizely must broaden its appeal to enterprise users by developing a robust professional services practice and continuing to build out native capabilities for behavioural targeting and personalisation,” McCormick stated in the report. According to Forrester, Optimizely’s key competitors include Adobe, Maxymiser and SiteSpect.